The humble piece of mail is not something you normally associate with movies. 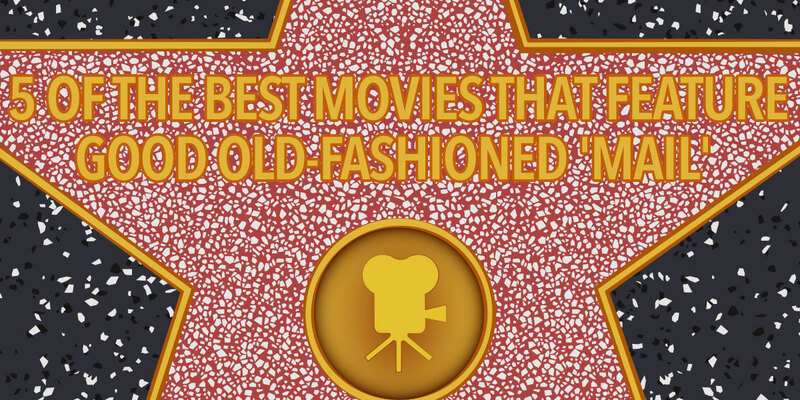 However, we think mail has helped shape some of the best (or at least notorious) films ever. So, for no other reason than that we offer mail forwarding services, we thought we’d celebrate some of the movies where mail has played a pivotal role. Let’s take a look; lights, camera, action – MAIL! This is widely regarded as a cinematic masterpiece for its graphic portrayal of the D-Day landings, the film kicks off with a telegram. It is through this that US General George Marshall learns that three brothers have been killed from the same family and so the mission is set to retrieve the remaining, hopefully alive brother – Private Ryan. Another film based on real-life events. This thriller tells the story of the infamous ‘Zodiac Killer’ who murdered several people around the San Francisco area in the 60s and 70s. It is through letters that the killer built his personality (by writing to the local newspaper). In these letters he included encrypted ciphers, which were used to challenge the authorities to guess his next move. Set in the post-apocalyptic world of 2013 (!) Kevin Costner plays a nameless nomad who happens upon a dead postman’s uniform. He then takes on the role of ‘The Postman’ – a figure of hope in a desperate world. File under notorious films (and not good ones). Okay, we’re cheating a bit here… but in a galaxy far far away holograms had to be used instead of letters. When droid R2-D2 escapes the evil Empire’s clutches he brings with him a message from Princess Leia; ‘Help me Obi Wan Kenobi, you are my only hope’. And so the epic adventure begins. A festive tale about a department store who hire a new Santa for the busy Christmas period, who turns out to be Kris Kringle (Santa Claus) himself. When his identity is questioned, it is through the use of post that he proves that he is indeed St Nicholas. In short, mail saves Christmas! We hope you enjoyed reading about our five favourite ‘mail’ movies. We’d love to hear your suggestions too, so do leave a comment if you’d care to share. If you would like to know more about how our mail forwarding and virtual offices work, take a look at Virtual Office MadeSimple for more information. David is head of research at MadeSimple. He looks into analysis of our competitors across all the product ranges and helps managers with specific research tasks. David is a fitness enthusiast and likes to run long distances and swim . He is a dedicated Arsenal fan and also an avid reader who is particularly partial to authors such as Robert Harris and Jeffrey Archer.